Do you have one or more lost teeth? We can help. 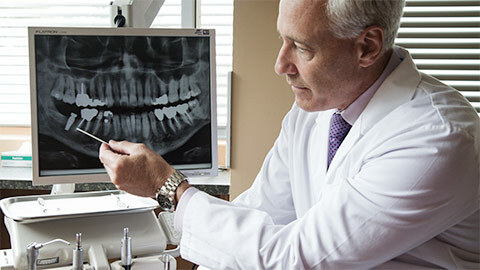 For over twenty years we have provided dental implant procedures for our patients in Hattiesburg. We can provide the entire implant procedure right in our office, including the initial consultation for dental implants, surgical placement of the implants, and creation and placement of replacement teeth or dentures. You can trust our reputation as a leader in cosmetic dentistry to provide you with implants that look natural, stay healthy and last a lifetime. A dental implant is a medical device, shaped like the root of a natural tooth, which is placed directly into the bones of your jaw. Made from titanium, which bonds readily with your natural bone tissue, the implant is designed to integrate into your jawbone to provide a strong and secure base for replacement teeth or other restorations. 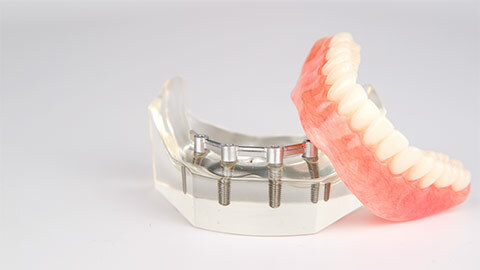 Once the implant had been placed in your mouth and given time to heal, we can attach a crown or a special denture to the base of the implant to fill the gap in your smile. At Touchstone Dentistry we produce our replacements in-house, allowing us to have complete control over their appearance and ensuring that the replacement will perfectly blend with your smile. If you are considering an implant, or if you'd like to know whether you are a candidate for implant placement, call our office to learn more or to book an appointment.